Just west of the Minnesota Saint Paul border is the Catfish Bay water ski park. It's a puddle with a grandstand. 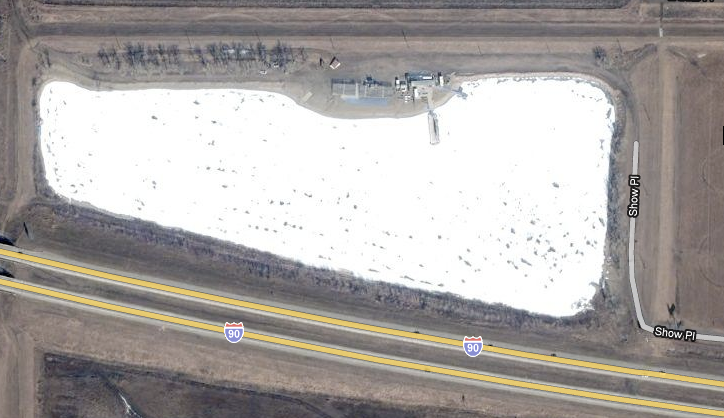 Some obsessed maniac dug a hole in the ground and turned it into a water skiing attraction - in South Dakota. A few hours west of the land of 10,000 lakes. It's insane. It's pathetic. It's glorious. The Corn Palace. Wall Drug. Mount Rushmore. Crazy Horse Memorial. They're all in South Dakota, at the heart of the Buffalo Commons. They're all crazy. Doomed. Just like humanity, not to mention our ever dissolving universe. Catfish Bay is an honored member of the trans-galactic museum of the Deniers of Doom.